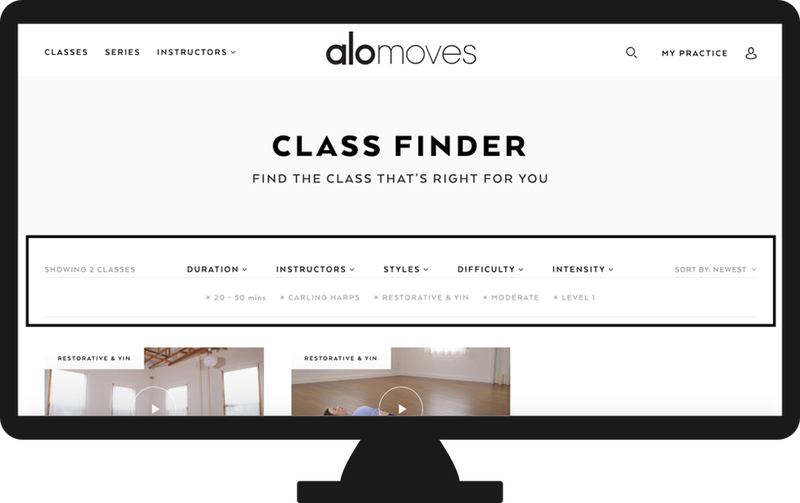 How do I filter classes on Alo Moves? 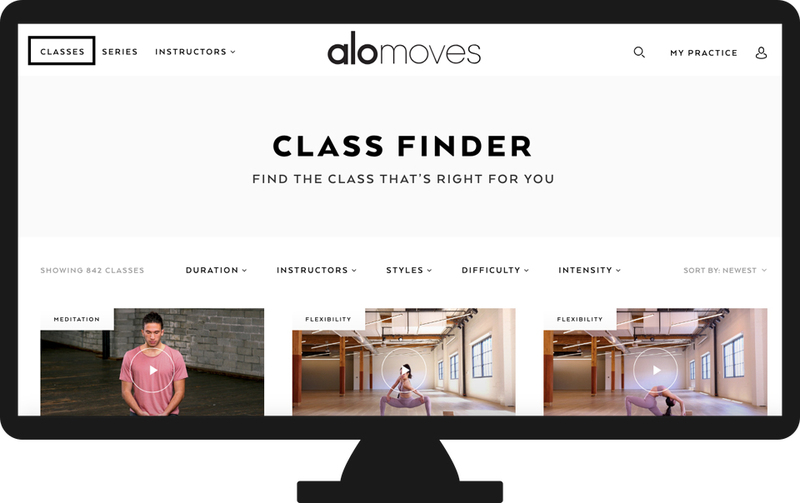 Finding the perfect class is easy with Alo Moves! With our Class Finder filter, you can filter classes by length, duration, instructor, difficulty, intensity, and style! This filter is available in our mobile apps, and on our website. To get our free app, head to Apple's App Store, or GooglePlays Play Store and search for "Alo Moves" - download away! 2. Select the filter(s) you would like to search by, by clicking any of the drop down arrows below. You can choose to sort your classes using as many or as few filtering options as you would like. 3. Find the perfect class to fit your practice, and start sweating! 1. Click on the Classes tab right next to the home button. The Classes screen will look almost identical to our website, and you will be able to use it in the same way. 2. Use the sliding bar at the top of the page to find all of the class filters. You can also sort further by clicking on the "sort by" drop down menu below the filters. This will allow you to see classes by most relevant, most popular, newest, or alphabetical order! 3. Find the perfect class in no time!